Your German Shepherd loves you more than anything, but did you know that a lot of the habits that we have with our dogs aren’t appreciated by our canine companions? Dogs and humans communicate in very different ways and sometimes our interactions can be unnerving for our German Shepherd Dogs. 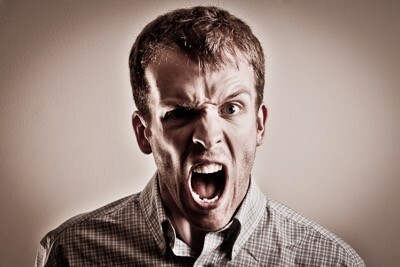 If you’re unknowingly making your dog anxious then they may show unwanted behaviour such as growling or even snapping. Make sure your dog is a happy pet by avoiding these bad habits which your German Shepherd hates. 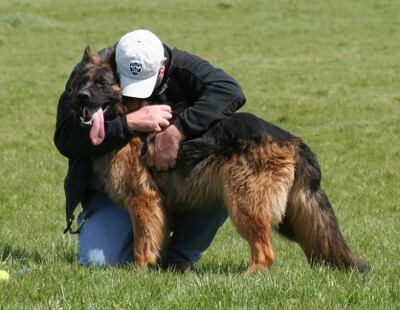 You may think giving your German Shepherd a hug is letting them know how much you love them. However, the opposite is in fact true. Hugs aren’t part of a dog’s world and they simply don’t understand them in the same way that we do. Instead of seeing a hug as something comforting, your German Shepherd will feel as though you are restraining them and trying to assert dominance over them. Most dogs hate the feeling of being hugged and it can make them feel threatened and afraid. 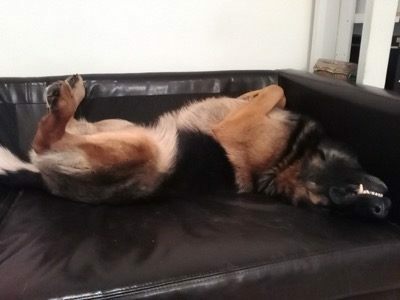 It’s hard not to give your gorgeous German Shepherd Dog a stroke when they’re sleeping soundly, after all they look so adorable when they’re snoozing, but waking your dog suddenly can startle them. At best, you’ll frighten your dog by waking them up in this way. At worst, you could catch your German Shepherd in the middle of a dream or a very deep sleep. They may feel threatened and lash out at you before they wake up enough to realise there was no danger to them. Have you ever watched your German Shepherd when he’s watching another animal he doesn’t like, or wants to chase? They have a completely fixated stare. That’s because dogs use prolonged eye contact as a threat or challenge. It’s no surprise then that German Shepherds hate being stared directly in the eye, as they don’t perceive it as a friendly gesture. There are lots of ways that people tease their dogs for their own amusement, and children are especially guilty of doing it. When your German Shepherd is teased, they feel frustrated and annoyed. Whether it’s pretending to throw a ball, never letting go during a game of tug, barking at them or pulling on their ears, it’s unfair to your German Shepherd to treat them in this way. You might think that shouting at your German Shepherd is a good way to discipline them, but being yelled at is terrifying for your pet and has been found to be an ineffective training method. To your German Shepherd, a shout is like an aggressive bark and that can make them feel anxious and very afraid. Next time you're feeling frustrated with your German Shepherd Dog, try to keep the volume down. Is there anything you'd like to add to our list? Feel free to share it in the comments section!